On our Chobe Botswana extension from Victoria Falls, guests will explore the Chobe River and the abundant wildlife and bird species of Chobe National Park. Counter-balancing the wilderness is this restful, air conditioned, en-suite Chobe Game Lodge, with graceful high arches, quarry tiled floors and barrel vaulted ceilings that create an atmosphere of cool tranquility. 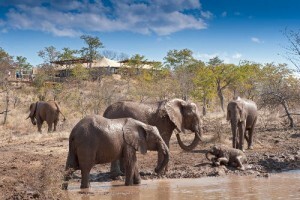 Chobe National Park, in northern Botswana, has one of the largest concentrations of game in Africa. By size, it is the third largest park in the country, after the Central Kalahari Game Reserve and the Gemsbok National Park, and is the most biologically diverse. It is also Botswana’s first national park. In Chobe National Park, encounter huge herds of buffalo, elephant and zebra – favorite prey for hungry lions, cheetah and leopard. Desert & Delta Safari Camps’ Chobe Game Lodge is the only permanent game lodge located within the Chobe National Park in Botswana. A hard to beat location, directly on the game rich Chobe River, Chobe Game Lodge has unhindered views of the river – and beyond – from the luxury boardwalk deck. 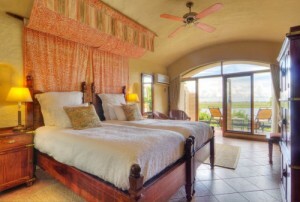 Guests can explore the Chobe River and the abundant wildlife and bird species of Chobe National Park.